London’s Chinatown is one of those places that I always feel drawn to. I don’t know if it’s when i’m going through a phase of missing Chinese food but I always seem to find myself there exploring. In fact, i’m heading there on Friday. I love the different colours, the smells, the crowds and the little trinkets on offer. It’s unlike anywhere else in the capital and perhaps that’s why i’m drawn to it. It’s a popular place too. London Chinatown restaurants are said to be some of the best around. Because there are so many eateries to pick and choose from, i’ve decided to put together a few of my favourites. I’ve selected a few different options on here from buffet to Cantonese and hotpot and even a non asian food store. Imagine! 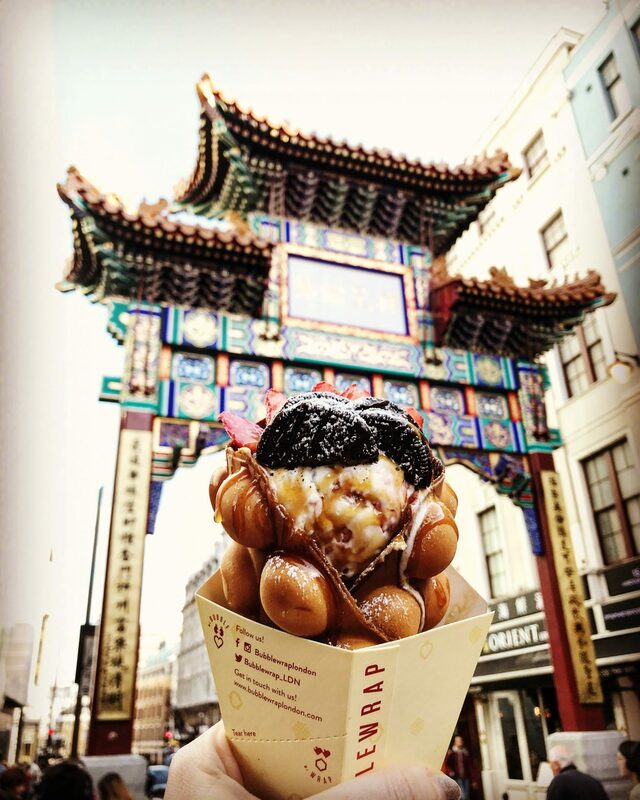 In the past couple of years, everyone seems to have gone crazy for bubble waffles and after a visit to Bubblewrap I could see why. People were queueing out of the door and I had a wait of around 10-15 minutes when I tried to get a waffle. I chose one with ice cream, fresh strawberries, Oreos and chocolate sauce and it was absolutely delicious. It’s also one of the most instagrammable deserts you’re going to find in London. When I was in university, I remember heading to Mr Wu for a cheap all you can eat dinner. There’s not much to complain about when it comes to Mr Wu, there’s plenty of dishes on offer and it’s all for a bargain price. A lot of the dishes are Cantonese which means you definitely have to try their sweet and sour. I remember coming back from Hong Kong and a friend of mine, from Hong Kong, brought me back some barbecue pork buns from Wan Chai Corner and I was suddenly hooked. It was a slice of Hong Kong that I could find in London. Weeks later and the whole university gang were back feeding off dim sum at Wan Chai Corner. I was devastated to hear that it had caught fire and closed but now it’s back up and running again! 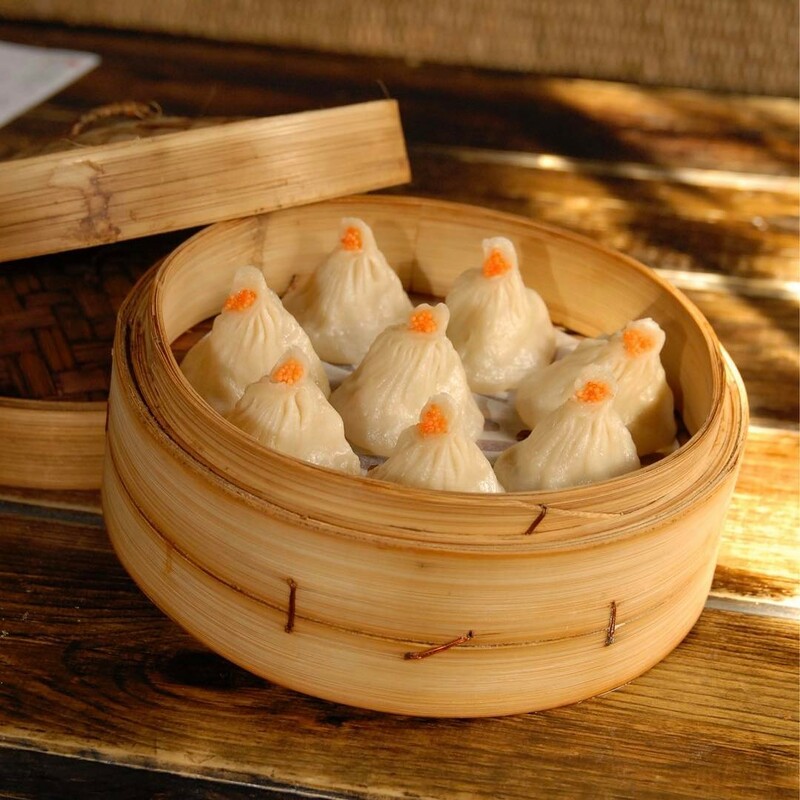 You won’t regret ordering dim sum there. I heard about Doughnut Time when a box of the delicious treats were sent to my office ahead of their first UK store on Shaftesbury Avenue. Now I can’t seem to go past a Doughnut Time without picking one up. You’ve got to try and take a nice picture of them bearing in mind how pretty they are! 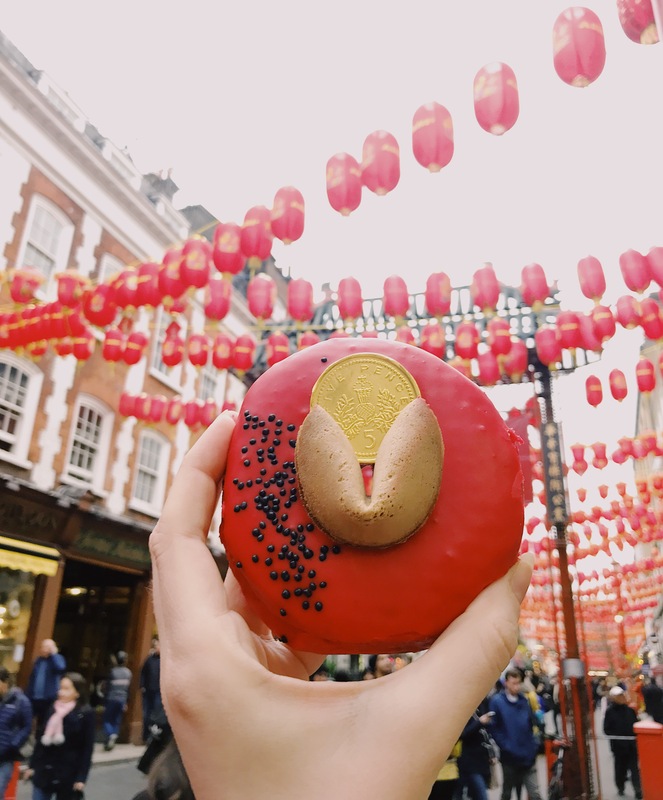 The best thing about them is that they have special edition doughnuts for certain occasions including a special Chinese New Year doughnut ahead of the Year of the Pig. Their Instagram page is a good way to keep up with the varying menu. There are other Doughnut Time locations but the one on Shaftesbury Avenue will forever remain my favourite. Little Lamb is the place to go if you’re looking for Chinese or Mongolian hotpot. Hotpot involves purchasing vegetables and meets and boiling it in a spicy broth and once you’ve had it, you probably won’t stop dreaming about it. Little Lamb is the best hotpot i’ve had and honestly, if I didn’t know I was in London, I would easily think I was back in the Middle Kingdom. While it is a little pricey compared to other restaurants, Little Lamb is well worth a visit and definitely one to bring your friends to for a sociable meal. This is my go to for all family-style meals. And of course for their Dumplings! The restaurant’s Xiaolongbao are said to be the best in Chinatown so definitely order some of those. I’m also a very big fan of their tofu dishes and have quite honestly spent ages sat in there eating my way through the menu with friends. Of course there’s many more to explore. I’m aiming to get through them all don’t you worry. There are a few new hotpot restaurants that have good reviews so I think they’re next on the list…. After another visit to Mr Wu’s of course! Have you got a favourite restaurant in Chinatown? Let me know! "Ridiculous things that happened during my time in China"